Tom is joined by Polish-born, Glasgow-based artists Ela Orleans, and has a guest mix from the Parisian based producer Bambounou. Tom is joined by Polish-born, Glasgow based musician, multi-instrumentalist, and film/TV/theatre composer Ela Orleans. Ahead of the release of her retrospective album Movies For Ears: An Introduction To Ela Orleans next month, Tom will be chatting all about her ten plus years in the music industry, why she’s constantly on the move around the globe – moving from Poland to Glasgow to Poland to New York to Glasgow – and just how she manages to work with all of those projects going on. 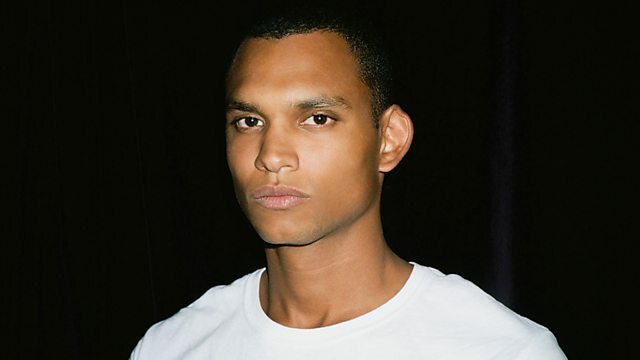 This week’s Guest Mix is provided by Parisian DJ and producer Bambounou. Also known as Jeremy Guindo he grew up in capital city with a Polish mother, who raised him, and a Malian father. Not having one identity caused confusion in his life, but that confusion becomes a creative force in his music. Berlin duo Modeselektor released a number of singles and two of his albums - 2012’s Orbital and 2016’s Centrum – and you can see why. The music shouldn’t make sense, the multiplicity shouldn’t homogenise and create something that you can dance or think to, but it works beautifully. This mix is going to be one that stays in our ears for a long time. An Obituary For Myself Yesterday. On The Corner Records ‎. Flo & Spicey's Tea Set. A Fire in The sun.